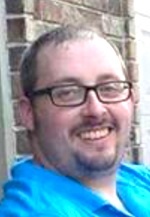 Adam Joseph Bates, 29, of Girard, KS passed away January 8, 2016. Mass of Christian Burial will be 10:00 am Tuesday, January 12, 2016 at Divine Mercy Catholic Church, 555 W. Main, Gardner, KS. Burial will follow at Resurrection Catholic Cemetery, Lenexa. Visitation 6-8:00 pm Monday, January 11, 2015 at Bruce Funeral Home, 106 S. Center, Gardner, KS 66030 913-856-7111. Memorial contributions may be made to the Boy Scouts Heart of America Council. Adam was born August 12, 1986 in Birmingham, AL to Joseph and Sue (Clark) Bates. He grew up in Gardner and graduated from Gardner-Edgerton High School. He is an Eagle Scout and member of Troop 494 of Olathe and Mic-O-Say. Adam received certification from JCCCs National Academy of Railroad Sciences program. He has worked for Kansas City Southern Railway in Pittsburg, KS as an Engineer and Conductor for the last nine years. He was a member of the Brotherhood of Locomotive Engineers and Trainmen Local #527 and United Transportation Union Local #763. Adam enjoyed drag racing and working on his 2005 Camaro. He will be missed by family and friends. Adam was preceded in death by his grandparents: Ivan and Mary Clark and Elmer and Regina Bates. He is survived by his parents, Joe and Sue of Gardner, KS and sister, Amy and Lynn Beer of Manhattan, KS.